•RivEX can re-orientate a network of polylines such that all polylines point in a source to sea direction. For this tool to work you need to provided a point layer of snapped mouth nodes. 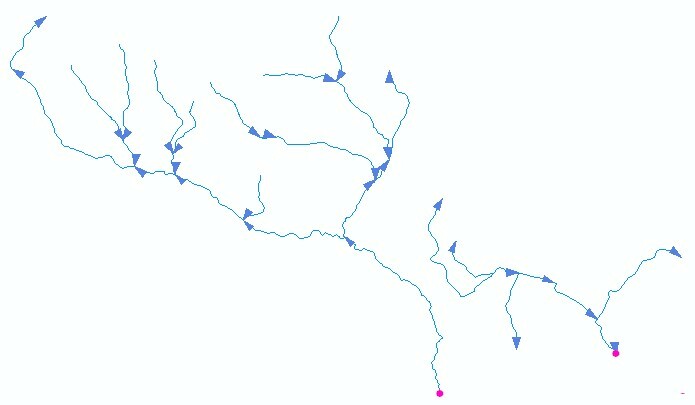 For each mouth node RivEX will travel upstream and if required flip a polylines direction. WARNING: This algorithm is limited and can only deal with single channelled networks. If your network contains loops or is multi-threaded then this tool will fail! •Why can't this tool deal with bifurcations? The algorithm is not robust enough to deal with multi-threading channels and will fail to process them correctly. This is because the tool uses the topology (connectivity) of the network and a known starting point (the snapped mouth points) to traverse the network. 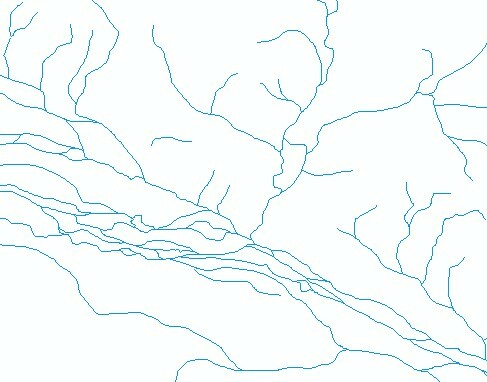 There are scenarios such a drain linking across sub-catchments which mean that direction cannot be logically determined. Currently the algorithm is unable to flag which polylines are indeterminate. •Upon running the tool you will be asked to select a point layer that represents the mouth nodes of the network. These can be generated by RivEX using the create mouth layer tool. •Do not ignore the warnings that RivEX generate, an example of RiVEX successfully processing a network but warning you of changes is shown below. 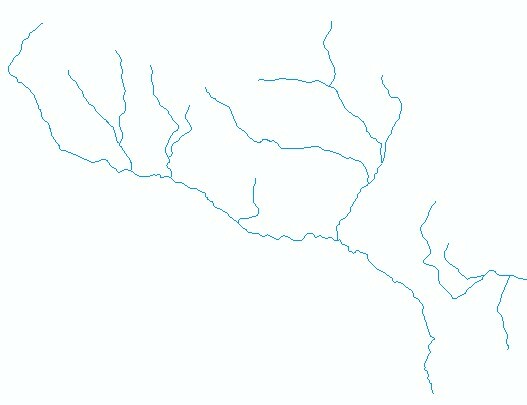 •SNAPPED to the downstream end of the polyline which is the outlet of the catchment, an example is shown below. •If any of these points do not intersect the end vertex of the polyline then the tool will reject the dataset. •You would need to SNAP the point to the end vertex. A point snapped "somewhere" along the polyline which is the outlet polyline is not sufficient. •You must have only 1 snapped point per catchment, stacked mouth points will be rejected. •The image below shows the network with direction symbolised with an arrow. Note how some of the polylines are point in a sea-to-source direction. 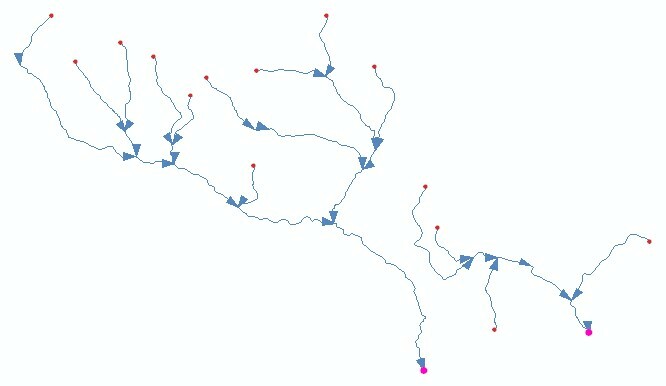 Such a network could not be processed for Strahler order by RivEX as that algorithm must have all the polylines pointing in a source-to-sea direction. 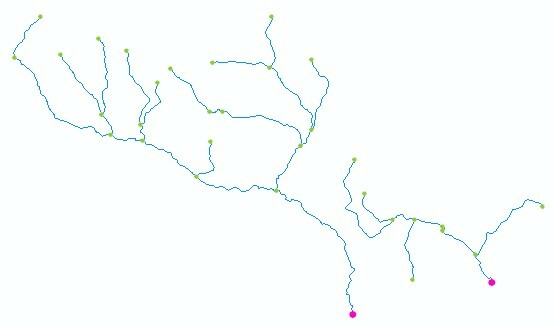 •After running the re-orientation tool the network will be correctly orientated. •If you open the attribute table of your network then you will see a new field called Flipped, which indicates which polylines were flipped, an example is shown below.